We in South Florida are the newest addition to the Y.O.G.A. for Youth family. We started two years ago with a simple vision. I had been told of Y.O.G.A. for Youth by a friend, and went to an informational meeting that Krishna Kaur gives every year during Summer Solstice in New Mexico (see 3HO.org Summer Solstice for more info.) It’s very rare that a program can identify it’s exact time of start; but few organizations have a founder as clear and inspirational as Krishna Kaur. My vision of bringing the Y.O.G.A. for Youth program to South Florida began during that gathering in a tent in the hot dessert. Yes, it was that ‘epic’. Krishna and her team have been amazing in their on-going support, helping this vision take root and grow. Starting a local affiliate from scratch is a challenging but deeply rewarding experience: something I’m committed to continue building into a stable, self-maintaining organization. I do have a 5 year plan, and we will build accordingly 😊. Last year, we at Y.O.G.A. for Youth South Florida taught a 6 week pilot program at SOS Children’s Village, a highly respected foster care program, then continued with a 16-week pilot program there in the Spring of 2018. This program provided learning opportunities for both the students and teachers, establishing an important ‘track record’ going forward. In June and July 2018, we provided 4 yoga classes a week for Big Brother Big Sister Miami’s summer camp program, and are working to build an ongoing relationship with Big Brother Big Sister and other programs. We are also developing a research component for our program. When negotiating new contracts, having data to show our effectiveness will be a huge help in opening doors. 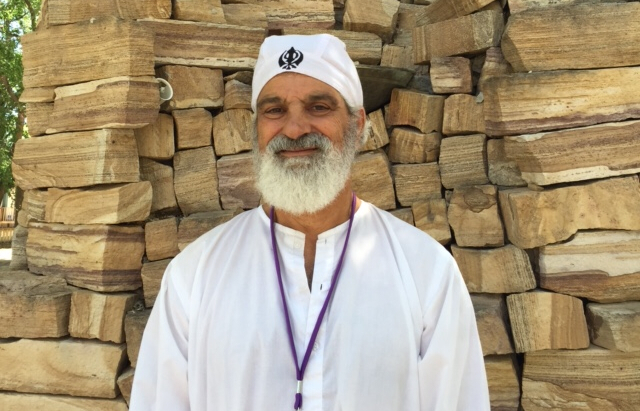 A professor in the Harvard School of medicine, Sat Bir Singh Khalsa, Ph.D. has been a long time researcher on the benefits of Kundalini Yoga. He and Sat Ardas Kaur, Ph.D., a research psychologist who works with children experiencing PTSD, have begun working with us to gather data for our program. We have already administered a short battery of tests before and after our 16-week pilot program at SOS Children’s Village. While we did not get any ‘statistically significant’ results yet, we do see trends and will continue to grow in our ability to use this research. In June 2018, we held our first South Florida Teacher Training and graduated 20 certified Y.O.G.A. for Youth teachers in our region! Now, each graduate is seeking out programs near them where they can serve. Whether it be a school, aftercare program or prison, each of our teachers will follow their own passion in finding a place to teach, and our central organization will be here to help them and grow their vision into a stable, long term contracts for providing yoga classes. Our South Florida connections are growing and I encourage your involvement! Follow us as we establish new pilot programs and build the kinds of relationships that lead to long term success – success in helping young people learn how yoga can help them build a stronger, happier life for themselves. Your ideas or suggestions are welcome! If you want to help, we can provide trainings, teachers, opportunities and support. I’ll meet you for tea anywhere in South Florida if you’d like to help grow our program! Please join us! Your contribution is valued. Ask me how . Below is our graduation picture. To borrow a phrase: this is us. Y.O.G.A. for Youth South Florida is blessed by being able to begin our work using a new format to deliver services. Ina, one of our recent graduates, has purchased part interest of a small yoga studio for the expressed intent of bringing our Y.O.G.A. for Youth program to the troubled teens in our area. Ina has owned Body and Soul Day Spa for 23 years, and has built a strong relationship with so many of the families in our community. Golden Pathl Yoga Studio located 4.5 miles from Stoneman Douglas High School. So many of the teens in this area are struggling with our recent school tragedy. We will be delivering a program that gives them the opportunity to gather in peace and learn how the tools of yoga can enable them to be more solid within. Golden Path Yoga Center is only one of the programs we are building in our three county region of South Florida. We are actively seeking partnerships where our yoga teachers can bring classes to established programs, as Y.O.G.A. for Youth has successfully done since 1998. Having our own yoga center as an anchor for our program gives us an amazing way to meet the needs of our community and have a strong central platform for launching our other efforts. I am a natural home birth mother and breastfeeding advocate, Kundalini Yoga teacher and Y.O.G.A for Youth ambassador. My field is Residential Space Planning and Design and I own Sacred Interiors By Paula, where I designs intentional living spaces. Kundalini Yoga and Meditation are tools I have been using for the past decade in order to stay present and resilient in the challenges that life has brought me. Challenges such as death, drug free/natural birth, mothering, depression, marriage, divorce, being an entrepreneur and volunteering in an education community. So much has been possible by the strength and the clarity that Kundalini yoga and meditation have brought to me. My life has not been without tragedy. I lost my father at age 9 due to a drug related event in Colombia and watched my mother struggle with depression for years. As a young teen I dove into the world of alcohol and pharmaceuticals and even attempted suicide a couple of times. My youngest brother Santiago, 17 died while dealing drugs in South Florida. Santiago was an amazing young man, who was a fantastic friend, was very intelligent, had a huge heart and was deeply loved by all of those who knew him. I also lost Luis, the love of my life, when he died during a car accident that was fueled by alcohol and drugs. With the help of Kundalini, I’ve been able to break my family’s cycle of drugs and discord and give my daughters a completely different family foundation based on integrity and wholistic living. When Y.O.G.A. for YOUTH and our 40 hour training certification found me, it helped me make even more sense of my family’s experiences. I found new ways to heal, and the gift of a new purpose: to serve other youngsters with valuable and practical tools that can help them deal with their life and fill it with hope, courage and self-respect, even when it seems impossible. It is now my passion to share this technology with those needing it like I did; for the world really needs the presence of radiant, balanced, happy and self-controlled young people. Nipa Doshi was born and raised in Mumbai, India. She completed her Bachelors in Commerce and Masters in Law at the University of Mumbai. She is trained in Indian classical dance and practices and teaches Reiki (a healing modality). She has been living in America since the year 2000. In the USA, she completed a 200-hour training course in Hatha yoga, 300 hours of training in Kundalini yoga, and a 200-hour course in Shakti Dance. She is also certified in the Comprehensive Mind & Body Wellness Program. 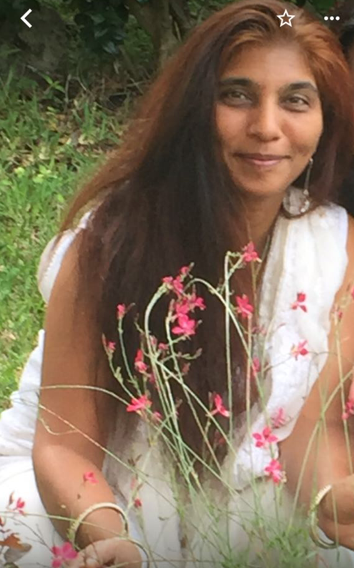 Nipa has been sharing her love and passion for the wellness of the mind, body, and spirit by teaching the important skills of breathing, meditation, and movement to children at Chesterbrook Academy and to kids and adults at Broward County libraries. 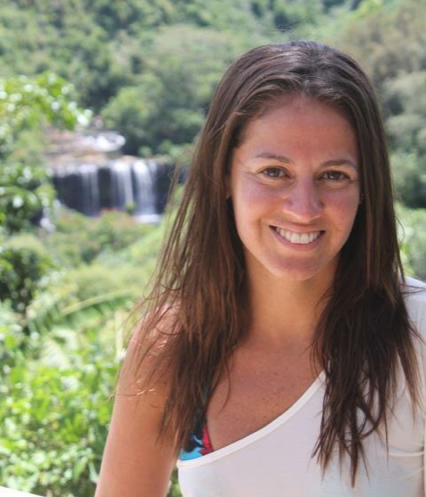 She has also taught at the Midtown Athletic Club, Yoga Source, Almanova, and Shanti Yoga. She was part of the aftercare yoga program at Indian Trace Elementary School for five years. Nipa teaches on-site corporate meditation classes and has been a part of the Ultiwellness program since July 2016. She believes that Mindfulness, Breathing, Movement, and Relaxation techniques can help us live more fully in the present moment. She is passionate about sharing these techniques that increase self-awareness, self-acceptance, vitality, focus, and productivity which help us to shine our own unique light. workshops at the Jivamukti Yoga Center in NYC. In 2012 she was invited to attend her first Kundalini Yoga class at Golden Bridge NYC, and that first class opened a whole new level to her practice. 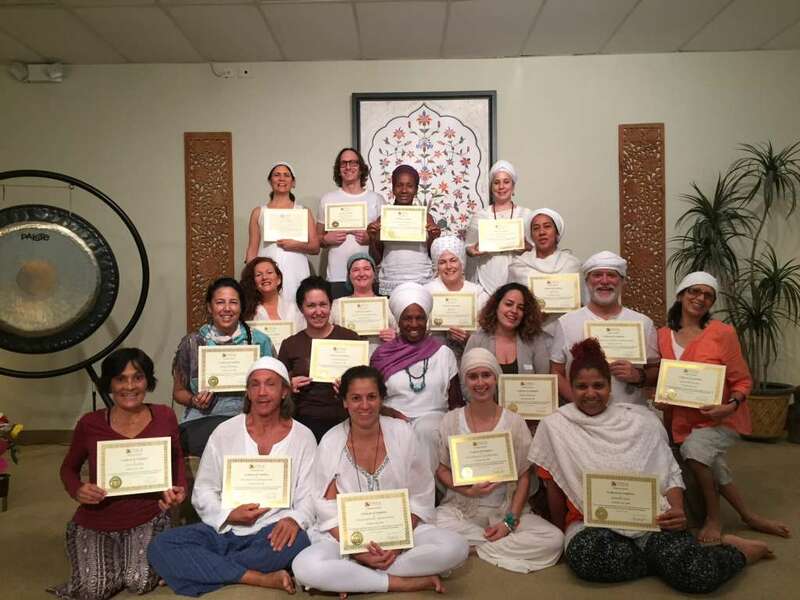 She finally found what her heart was longing for and she has since became a KRI Certified Kundalini Yoga Teacher as taught by Yogi Bhajan. 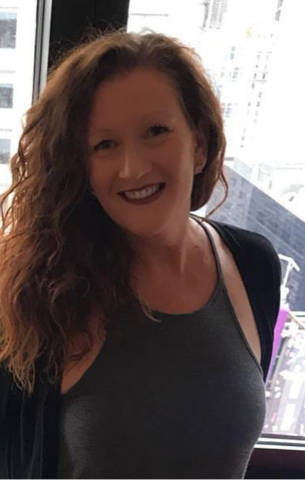 Renata is also a certified Conscious Pregnancy Yoga Teacher, a certified Y.O.G.A for Youth Teacher and Level II Practitioner of Mind and Meditation. She has studied multiple healing modalities including Sat Nam Rasayan with Master Guru Dev Singh, as well as Reiki, Aura Reading and Theta Healing. 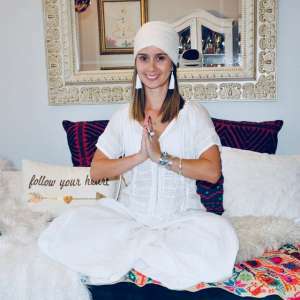 Her passion for studying and teaching Kundalini Yoga is contagious, and her teachings focus on changing the paradigm of life from survive to thrive by shifting the perception from fear to love, the place where miracles naturally happen. Kundalini yoga first found me in 1972. I was on the road for a couple years, as was common then. One day in Tucson, Arizona I was invited to a free Kundalini class at the town park. I went back to the Ashram after class, then did yoga (Sadhana) with them daily for a few months – until it was time to start moving on down the road again. So my life went on….. Eventually I settled, got married (we have to great sons), developed a career and seemed to be fine until I hit my mid-life crisis. I had so focused on providing for my family and taking care of what was immediately in front of me that I had lost touch with my self. That’s when I remembered the yoga I had done when I was young, and how good it had been for me. So I went out and found a teacher, and have been gratefully practicing Kundalini for the last 18 years. I’m retired now; have had a challenging yet blessed life. In thinking about how to give back, I remembered what an important seed those yoga classes had planted in me when I was young. Bringing Y.O.G.A. for Youth to South Florida and being a Y.O.G.A. for Youth teacher is my perfect way to pass it on. Perhaps we can sow some seeds with our young that will help them grow to their best potential. They are our future.